Save: Allows you to "save a draft" of the workflow stage. Doing so will save the data but won't submit or close the workflow stage. Save & Submit: Simultaneously saves the data and closes the workflow stage or the record. 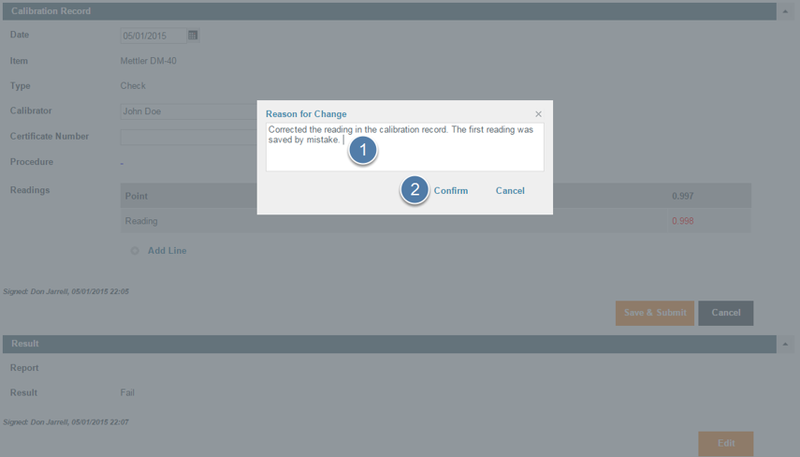 Cancel: Returns you either back to the module or back to viewing the completed record. How you modify records and programs differs slightly. When modify records, work flow sections must be modified individually. Click edit to do so. When you are done modifying the record click save again. For Programs you should select 'Actions > Edit' to modify. 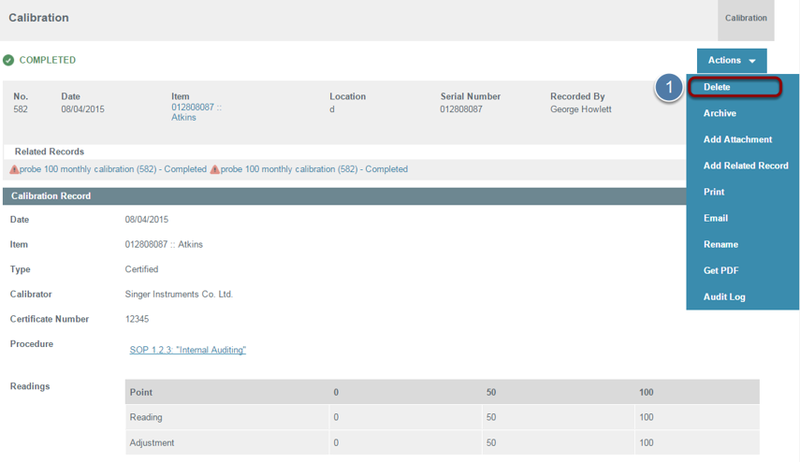 Master Data Entities such as employees, products etc are the same - select 'Actions > Edit' to modify. Anytime you change a record, program, or entity you will be required to complete a quick 'Reason for Change' form. Enter your reason for change. Your reason for change will be added to the Audit Log. Confirm your that you want to delete the record or program. When you delete a program the records generated from that program will not be deleted. This is to prevent the data in the system from being tampered and manipulated. Instead deleted records will be archived. Entities such as Products, Materials, Suppliers, Employees, Items etc cannot be deleted. Doing so would compromise the integrity of your Food Safety Management System given the integrated nature of all the modules. However, if you wish to remove an entity we recommend that you modify the name to indicate that it is no longer in use.